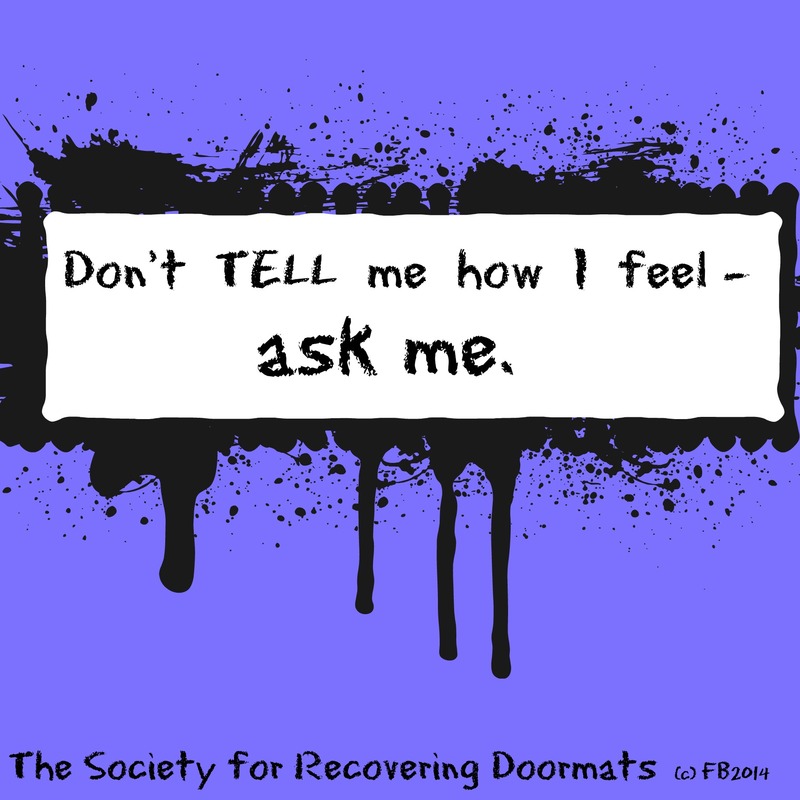 Don’t tell me how I feel: ASK me. When we’re feeling upbeat and confidant is the narcissist cue to plant seeds of insecurity and doubt and knock us down to the floor. The all-about-them-self narcissistic ‘A’ lister uses any opportunity to remind us we are less than, and telling us how we feel is just their prelude. Telling us how we feel is one of their most powerful manipulation tools to keep us where they think we belong. Stand up, speak out and remind these peeps not to tell you how you feel. Even if they ask you they are not really interested in how you are or what you are doing. They really don’t give a damn about you, it’s all about them. I limit my time with these peeps. I will be civil to them but will move quickly away. There is no way I’m going to be roped into their dramas. They are the masters of the put-downs so I won’t give them any opportunity to bring me down with their negativity. I just leave them to it. I’ve learned this too. Family or not, it’s best to keep a safe distance. This is brilliant advice! It’s so easy to let others, especially those we’ve let in, to have the key to us. Time to reclaim it! Thank you for this wonderful reminder. Thank you. It was time that I found ME and not who everybody thought I should be. It was time I got my power back.